Although our practical driver training courses are almost always the most effective solution for those drivers with a tendency towards risk-taking, those at lower risk can really benefit from our defensive driving classes. We pride ourselves on creating courses in safety driver training in Wiltshire. Our workshops for small groups are not just informative and helpful but fun to participate in too. We create defensive driving classes that contain engaging, thought-provoking content and ensure they’re delivered by top class experts to make the whole experience both enjoyable and memorable. We believe our kind of interactive driving workshop helps vital driver safety messages stick in people’s minds and makes a real difference to their future behaviour on the road. Our practical driving courses provide participants with the opportunity to acquire skills and knowledge needed to operate their vehicles safely. We believe that good drivers never stop learning so one of our driver training courses will always have a benefit regardless of age and experience. 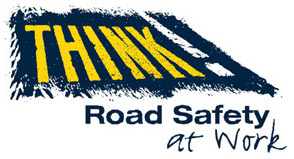 More and more people are killed or are injured in ‘at-work’ road related accidents every year and driver training courses are proven to reduce the risk of incidents. Driver Development Defensive Driving Courses help to minimise risk.